California Coastal Commission approves proposal for updated dock structure. NEWPORT BEACH — An aging and overused dock in Marina del Rey will be removed and replaced with updated infrastructure, as the California Coastal Commission unanimously approved a public works project proposed by Los Angeles County officials. Commissioners approved the request on Dec. 12, as part of their December meetings in Newport Beach. An existing set of docks will be removed and replaced with a larger dock. The new dock would allow the Los Angeles County Fire Department, Sheriff’s Department and Harbor Patrol Unit to maintain its operations with updated infrastructure. Los Angeles County proposed new dockage at Parcel 62 (located at 13851 Fiji Way in Marina del Rey) to keep up with an increase in demand/use and “to minimize emergency response time for coastal dependent emergency operations,” according to Coastal Commission staff. The proposed project would increase water surface coverage by nearly 4,300 square feet and introduce more than 47 square feet of fill, according to Coastal Commission staff. A new building on the upgraded docks would obstruct ocean views during high tide and be exposed to the hazards of sea level rise, Coastal Commission staff added. “According to the applicant’s biological survey, there are no sensitive species present within or near the subject site that should be negatively impacted by the construction of the new dock facility,” Coastal Commission staff said about project’s larger footprint. “The visual impacts would be temporary and the structures on the dock are necessary for the functionality and efficiency of emergency responses. In addition, the dock structures are designed with a maximum height of 15 feet, consistent with the Marina del Rey Local Coastal Program,” Coastal Commission staff continued about obstructed views. Coastal Commission staff also stated the applicant addressed the issue of sea level rise. “The applicant’s proposal includes measures to address anticipated sea level rise. For example, the piles proposed for the new dock facility could be vertically extended to accommodate increased sea level elevations,” the Coastal Commission staff report to commissioners stated. The current dock is 10,500 square feet in size, with 28 concrete piles and occupying 39 square feet of soft bottom habitat. Once updated the new dock would be 14,800 square feet in size with 41 concrete piles and occupy 86 square feet of soft bottom habitat. Also included as part of the new dock: two 24-hour emergency response operation centers, an emergency equipment storage room, pumpout station and utility upgrades. The docks were built for the local Harbor Patrol in the late 1960s, according to Coastal Commission staff. 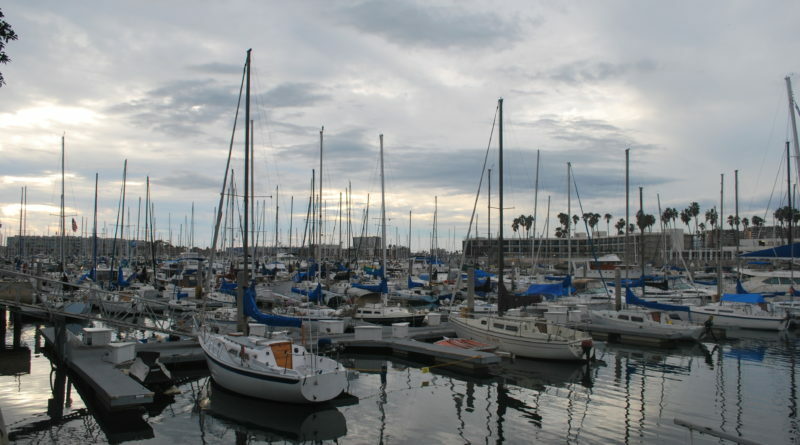 Los Angeles County’s Sheriff’s Department assumed the dock facility in 1984 and used the on-water infrastructure for berthing of public safety vessels and temporary docking of recreational vessels in distress. The dock space also doubled as a 24-hour emergency operations platform for search and rescue events or other public safety issues. “Since , the operational responsibilities of the fire and Sheriff’s departments have expanded significantly, including greater coordination with other local, state, and federal agencies, such as taking over search and rescue duties (as well as diving duties) from the United States Coast Guard and supporting offshore Homeland Security missions,” Coastal Commission staff stated. “The facility serves as a medical evacuation site, requiring adequate on-dock space to accommodate support and transportation of patients from vessels to ambulances, a temporary dock for derelict vessels and vessels in distress, response center for water landings from aircraft at Los Angeles airport, an information center, and an impound facility for vessels requiring temporary dock space.